With so many different bundled and third‑party colour correction plug‑ins available, do Colorista 2's new features offer anything special? Magic Bullet Colorista 2, available from Red Giant Software, is a colour correction plug‑in for Adobe Premiere Pro CS3, 4 and 5; Adobe After Effects CS3,4 and 5; and Apple Final Cut Pro. To get an idea of exactly where Colorista 2 fits in the market, and what it's up against, let's briefly examine the competition. For Final Cut Pro users, Apple Colour is included and can handle the bulk of grading duties. But Color is a separate program, meaning that you have to send your edited sequence to Color and render files back into your FCP timeline when you're done, also known as a 'round trip'. If you want correction in the timeline you could use the simple colour corrector, but then you don't have the same array of options for secondary colour correction (that applied to specific colours or areas), so in‑depth work still needs to be sent to Color and rendered. Mac Pro users with sufficient dedication to grading can now purchase Blackmagic DaVinci Resolve as a software‑only version for $999, a far cry from the previous control‑surface version, which cost nearly $30,000. Of course, this option is expensive and limited to very powerful computers only, so it's not for everyone. Options are different for Adobe users. Owners of Production Premium CS5 or Master Collection CS5, both of which include After Effects, will have a bundled copy of Synthetic Aperture Color Finesse 3 LE for After Effects. Color Finesse allows primary colour correction only in a simplified interface, or full secondaries and scopes in its own interface. This doesn't help users who want to have secondaries directly in the timeline in Premiere, as they will have to purchase a Premiere license separately and will still have to open a separate window to handle secondary colour correction. As good as the software is, with professional features like LUTs (Look Up Tables of colour information for matching particular broadcast standards), I always found isolating secondaries to be difficult and quite slow. Magic Bullet already make Looks (see 'Magic Bullet Looks' box), which is less for accurate colour correction and secondary grading and more for creating a 'big look', complete with lens flares, vignettes and spot exposures. Though it has a nice enough RGB parade scope and a good set of colour tools, it can't really be used for targeted secondary correction. The first version of Colorista only included a Lift/Gamma/Gain control, white balance, saturation, exposure and a single mask (for isolating or excluding an area of correction) called 'Power mask', meaning that carrying out secondaries relied exclusively on using masks and multiple instances of the plug‑in, with no 'keying' available. In short, as someone who primarily uses Adobe Premiere Pro and Adobe After Effects, I've always been jealous of Apple Color, ever since Apple bought the premium colour‑grading software and started giving it away with Final Cut Studio. Alongside the inclusion of the ProRes editing codec, Color is one of those elements that makes FCP great value and very much a complete package. After a long wait, though, here's Colorista 2 to shake things up a little. Colorista v1's relatively basic feature set required the user to plug in lots of instances to handle secondary corrections and the like. Colorista 2 is much more advanced, and for backward compatibility purposes, v1 comes free with Colorista 2, so you can see the progress for yourself. Colorista 2 is effectively three instances of Colorista v1 in a single plug‑in, divided into Primary, Secondary and Master correction categories, with some extra tools added to each category. The Primary category includes an exposure control for overall lightening and darkening of the footage; a density control, which acts as a basic contrast; a three‑way control for altering the tone and lightness of the shadows, mid-tone and highlights; a saturation control; a circular control for hue and saturation; a circular control for lightness of each colour range, and a bypass control. Both Secondary and Master controls include the above controls, except that Secondary is missing the hue, saturation and lightness (HSL) controls. Both Secondary and Master have a mask for isolating the affected area of the image, which can be feathered (have its edges softened) and resized, and can be either elliptical or oblong in basic form. The Secondary control includes a 'Keyer' for applying colour changes to a specific selection of shades. This can be used in combination with a mask for pinpointing adjustments. The other special feature of the secondary channel is the 'pop' control, which enhances or softens skin tones. Finally, the Master corrector includes curve‑based RGB channel controls. Each of the three correction categories can be wet/dry mixed with original footage, for subtle blending, or bypassed entirely. 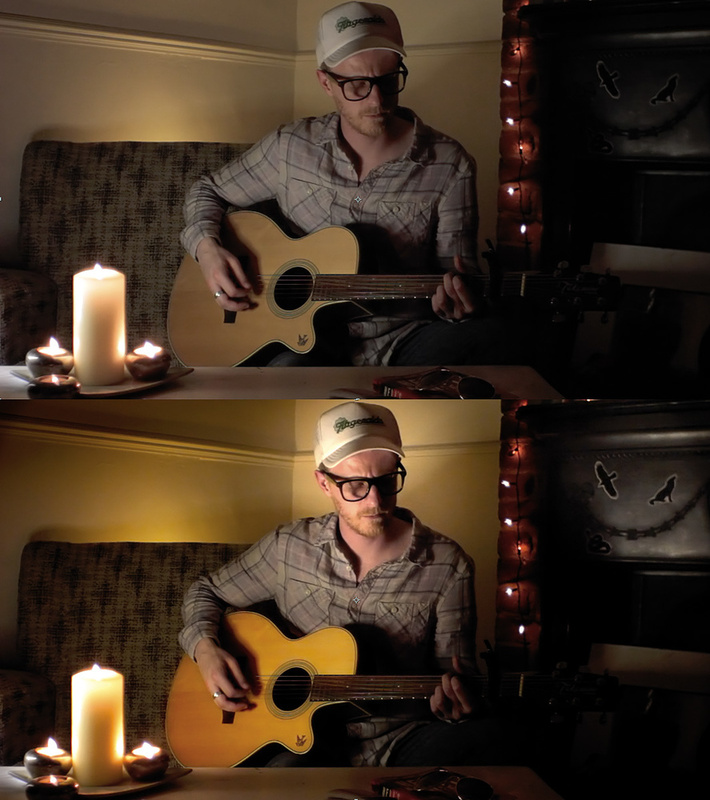 I shot a live performance of a song with a Canon EOS 550D, using a relatively 'flat' Picture Profile, with low contrast and saturation and no sharpness boost. This allowed Colorista 2 to have the highest possible dynamic range (picture detail between pure black and pure white) to work with in post-production. I also converted the footage from the native Canon H264 4:2:0 codec to the Cineform Neoscene HD 4:2:2 I‑frame codec, as 4:2:2 footage allows for subtler corrections and I‑frame footage is easier on the computer (see the Making Movies articles in SOS May and June 2010 and the Video Compression feature in SOS August 2010 for more details). After creating my edit in Premiere Pro CS5, I selected 'Replace with After Effects Composition' to send the completed sequence to After Effects CS5, where I began grading the film. Note that Colorista 2 performance in After Effects is better than with other hosts. FCP users will find that the plug‑in is missing the useful box or circle for resizing the power masks, as FCP does not currently support the drawing of these kinds of overlays by third‑party plug‑ins. Premiere users will find the colour wheels and HSL wheels sluggish, due to the way in which the program handles custom plug‑in interfaces. Here are before and after shots showing the application of Colorista 2 to create a warm environment. I used a Key and a Mask to isolate the yellow saturation boost on the guitar body. Using more than one instance of the plug‑in, I've added further touches, like the vignette in the top left, and the highlight near the top right.The Primary, Secondary and Master workflow is quite elegant. First stop is the Primary corrector, to set white balances and some saturation levels. After this comes secondary adjustment, to isolate skin tones, for example, and lastly the Master corrector. Colorista 2's HSL control uses a simple system. To increase the saturation of a colour, pull its dot away from the centre, and to decrease it, push it towards the centre. Moving a colour around the circle changes its hue. The lightness circle works in a similar manner. This system is very smooth and makes the process of colour control visually rewarding and easy. The Pop control on the Secondary is a solid tool. Since the primary use of Secondary correction (stay with me here!) is isolation of skin tones, this special control is used for either sharpening or smoothing the texture of skin. Pop is something of a contrast and sharpness control, especially designed to work well with skin tones. Dragging the number into negative values smooths out blemishes and blurs the skin, while positive values help the eye to focus more on skin. Pop is also useful for enhancing the edges of certain mid-tone objects. It would be nice if this control were available in the Master corrector, too, since sometimes you may want to use the Master as another masked‑secondary, without plugging in yet another Colorista 2 just for the second Pop control. Here I'm part-way through keying the guitar body. To add the missing areas, I just need to use the 'plus' tool to paint the parts that appear black in the Matte window. Clip and Soften controls will help to further isolate the guitar.The keyer on the Secondary corrector is both powerful and relatively simple to use. Using the plus and minus controls and painting on the images lets you knock up a relatively accurate key very quickly. 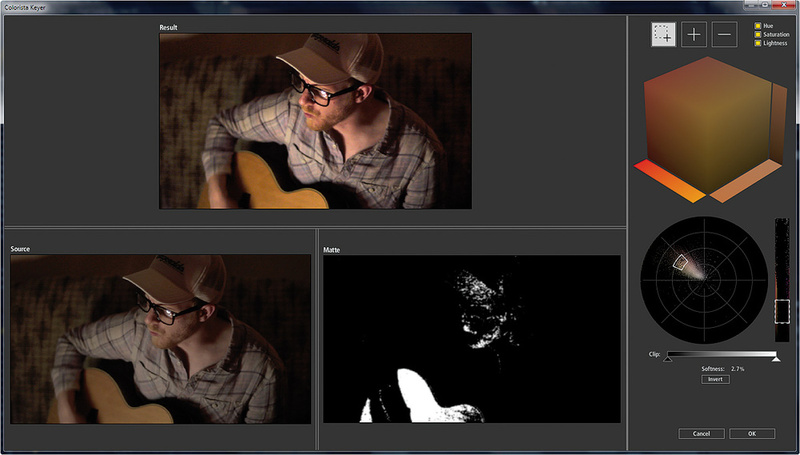 The 'clip' sliders allow you to restrict the affected areas by luminance (or lightness), which is very useful. The softness control is absolutely vital and very well designed. It softens the selected key, getting rid of those awkward patches of colour outside the area of interest that happen to share the same tone. By juggling these controls for a few minutes, I found it very easy to isolate specific colours for correction. Although they're stylish and reminiscent of computer displays in Blade Runner, I personally found less use for the isometric cube and scope adjusters than the plus and minus controls, but some users prefer then, so it's nice to have the option. When used in combination with a mask, the Keyer allows extremely accurate isolation of colour correction. Colorista 2 not only provides a great way of correcting colour and carrying out complex grading in your host software, it also manages to make the whole process of colour adjustment very quick, fun, and gratifying. While Magic Bullet's Looks took its very visual interface to quite an extreme, Colorista 2 strikes a lovely balance between being accurate enough to carry out complex and artistic grading, and being easy to get to grips with. It's a massive update from v1, and with it Colorista has become very much a serious post‑production tool. The Keyer is particularly elegant, with simple visual tools letting you knock up a nice key quickly and efficiently. The controls specific to each stage are great, but I did sometimes find the separation a bit restricting. I'd like to have seen a Keyer in the Master section as well, as I often found myself reaching for the Master as another secondary, due to its masking capabilities, only to find, of course, that it didn't have a Keyer. As it is, plugging in another instance works just as well, but I'd love to be able to customise each stage with masking, keying and Pop as I see fit. Perhaps four separate plug‑ins — Full, Primary, Secondary and Master — would help here? This would allow the user to create a logical chain of as many subtle Secondaries as they need. It might be nice to have custom 'bezier' masks, as this would help to more easily keep tabs on moving areas of colour. As for what's next, I can see Magic Bullet updating Looks so that some of the features of Colorista 2 are shared, or perhaps bringing the two packages closer, merging into an all‑in‑one grading and aesthetics tool. As it is, Looks remains a worthwhile investment in itself. For now, Colorista 2 is one of the finest tools out there for Premiere and After Effects users, and gives FCP users access to powerful grading without the need to make the round‑trip to the more complicated Apple Color. For Abode Premiere Pro and After Effects, it's versatile and quick enough to have already become my turn‑to advanced colour‑correction tool. Magic Bullet's Looks has been, up until this point, the developer's most popular piece of colour‑grading software. It allows users access to many more aesthetic choices than simple colour correction, including lens blurs, vignettes and film‑processing effects. As such, it remains a useful tool, despite the introduction of Colorista 2. I did try plugging Looks after Colorista 2 in an effects chain, but it only shows the original footage in its display, not the results of Colorista 2 grading before it. Because of this, using the two together involved popping in and out of the Looks Builder interface and closing the controls to see the results update in the host software. Perhaps we'll see this change in an update, or maybe the two pieces of software will gradually merge. 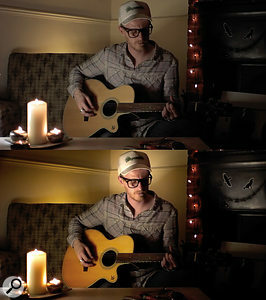 To see the music video I shot while reviewing Colorista 2, head over to http://www.vimeo.com/14136318. Generous license covers all hosts. Powerful masks, keying and secondaries. Lots of ways to alter colour. Having each stage available as a separate plug‑in would be a bonus. A massive update, the new version of Colorista transforms the basic v1 into a solid and comprehensive grading plug‑in. The keyer is particularly good, and other controls, such as skintone 'Pop', are very welcome. It works especially well in After Effects, and has already become my tool of choice for complex grading work in After Effects and Premiere, as well as in‑timeline secondaries in FCP.